HAVANA — At 15 years old, Roberto Salas tagged along with his photographer father on an assignment on this Caribbean island to cover a group of Cuban activists who were opposed to the government. 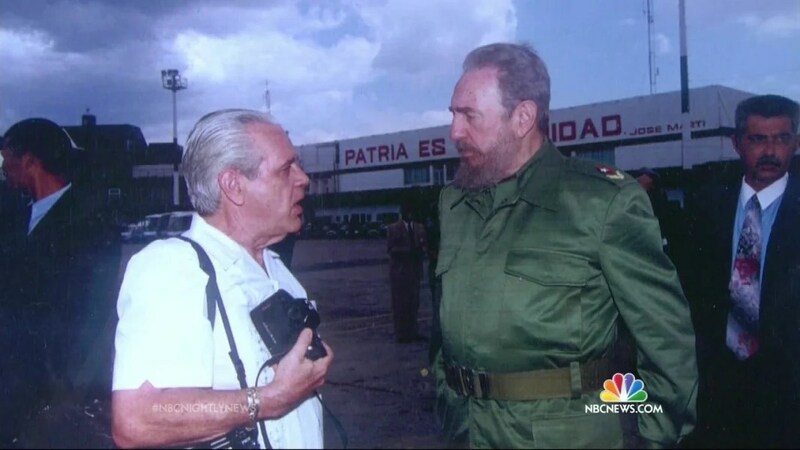 One of the activists Salas met during that 1955 trip was Fidel Castro. The turn of fate gave the budding shutterbug, whose father was Cuban, a front-row seat to the impending revolution. Salas, who was born in New York, became part of a small group of photographers who were given what he calls “privileged” access to Castro — allowing him to capture up-close images of the future president when the paparazzi was swarming. “He was a magnet for cameras, photographers,” Salas said. 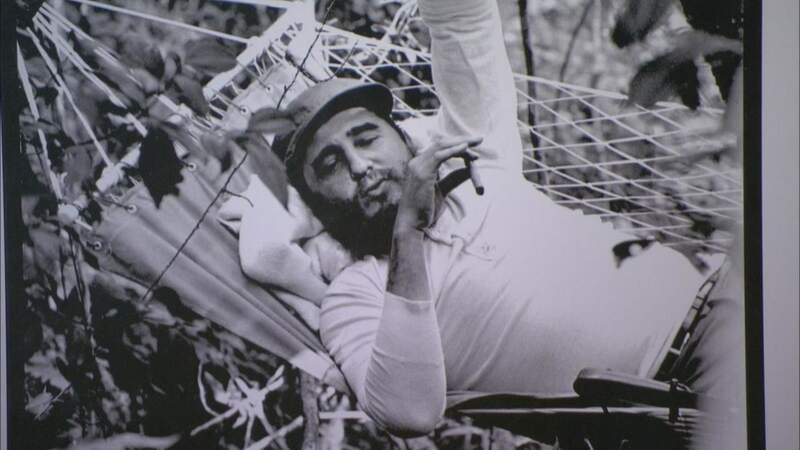 He was also given the chance to document images of Castro in more intimate settings. 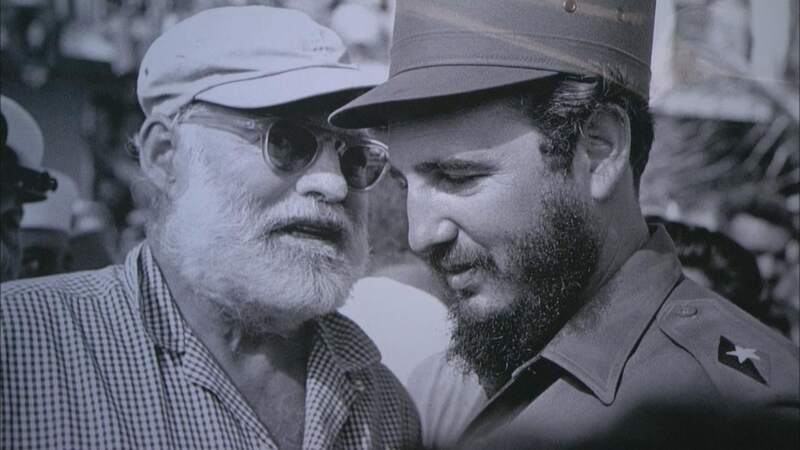 The images Salas shot of Castro with American author Ernest Hemingway and Castro in a more raw state — including relaxing in a hammock with a cigar — would become iconic. But a photo snapped on the day the American embassy closed in Havana would prove to be one of the most gripping. Roberto Salas displays some of his photographs, one of which was taken on the day the American embassy closed in Havana. Roberto Salas was born in New York City in 1940, son of the accomplished Cuban born photographer Osvaldo Salas. While the elder Salas won recognition for his portraits of sports legends like Mickey Mantle and Joe DiMaggio, it was his son Roberto who caught the attention of Fidel Castro, himself. 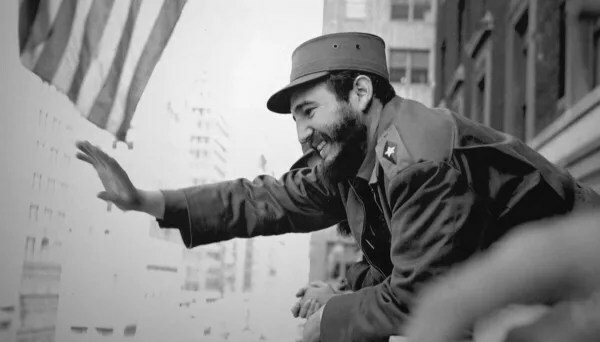 Osvaldo Salas first met Castro in 1955 while the Communist leader was fundraising in New York City. In 1957, a 16-year-old Roberto Salas published a photo in Life magazine of the Statue of Liberty draped in a Cuban Flag. That photo became an iconic image. For nearly fifty years, Roberto has lived in Cuba and worked as a freelance photographer, documenting the stories of that nation, the saga of its revolution and the life of its enigmatic leader. His work is extraordinary for it’s perspective and it’s breadth. 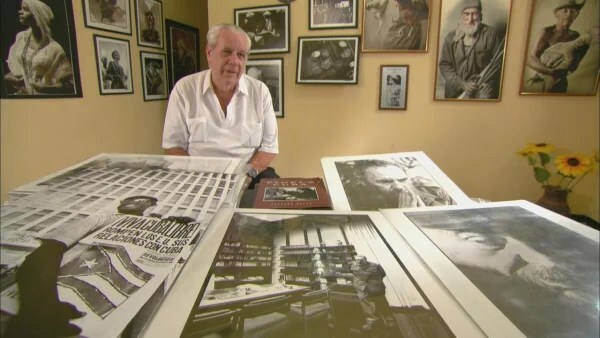 In 1998, many of his photos were published in a collection entitled Fidel’s Cuba: A Revolution in Pictures. Several of the photos in the book had never been seen before in the United States. There are images from the Bay of Pigs and of delegates arguing on the UN floor to more poignant moments that showcase Salas’ skill as a portrait artist. These remarkable photos include images of the famous and the infamous, from Che Guevera and Fidel Castro, to Ernest Hemingway smiling with a fishing trophy in hand. Salas has also served as a UN correspondent and as a war correspondent in Vietnam, Cambodia and other parts of Southeast Asia. He has had more than forty one-man shows worldwide and has garnered more than 100 prizes and honorable mentions in major photo competitions. He continues to live and work as a free lance photographer in Havana, Cuba. June 16, 2018 in BOOKS: Mightier Than The Sword, REBEL YELL. KILL THE MESSENGER: Was the Father of Presidential Hopeful Cruz Involved in the JFK Assassination?